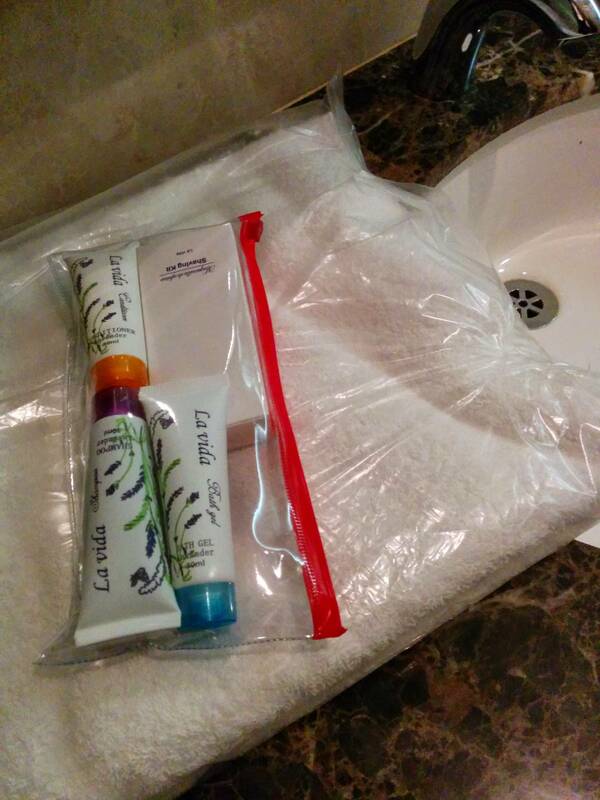 I've got two transfers between long-haul flights coming up at DXB, and I'd like to freshen up with a shower. Information on the net is outdated and contradictory, and the official site is remarkably useless. 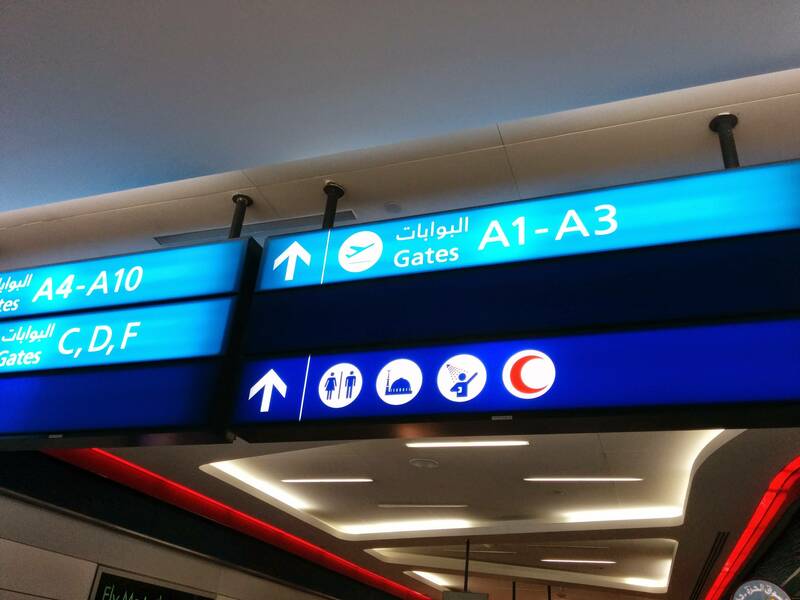 I will be in the Terminal 3 (Emirates), although I'll do the long schlep to T1 and back if I need. I have no frequent flier lounge access. 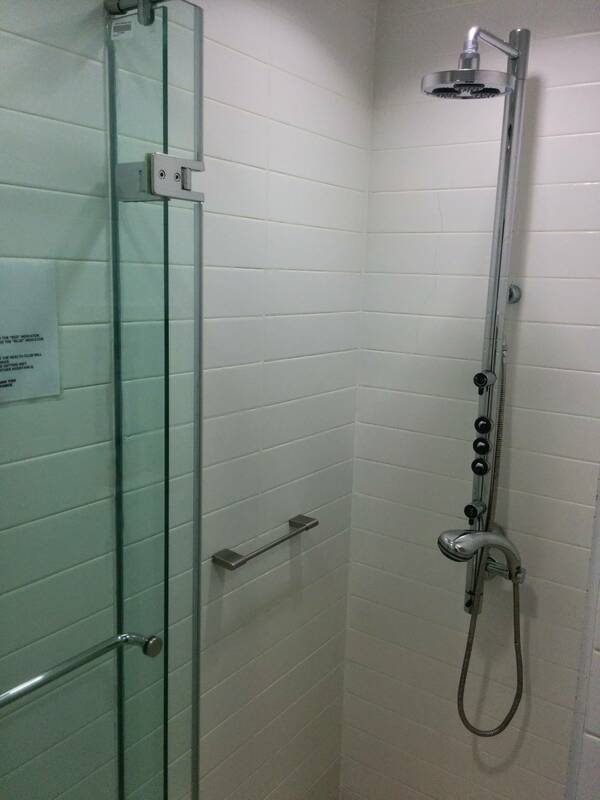 What are my options for a shower? All prices and info accurate as of June 2014. The Marhaba lounge in T3 Concourse A (between gates A2/A3) has rather nice showers, easily on a par with a four-star hotel. 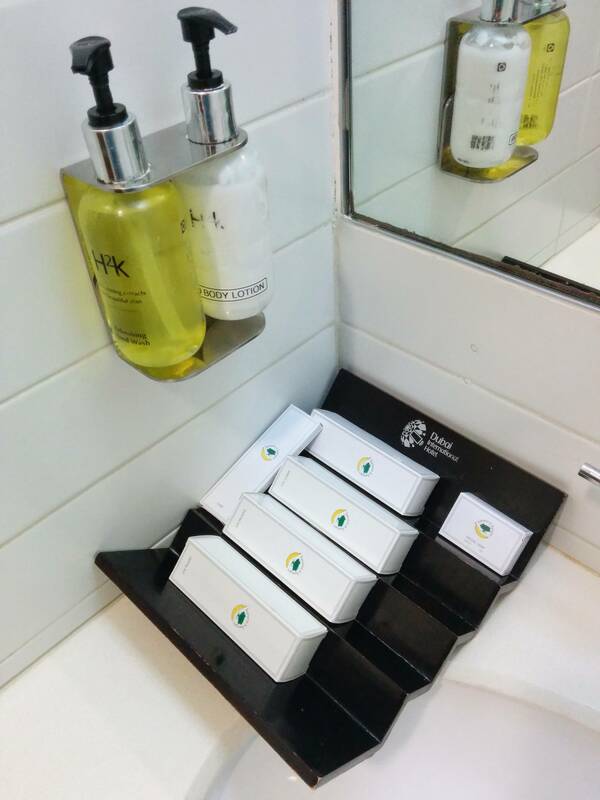 A shower alone without lounge access costs Dhs 55 (~US$15), including towel and cosmetics kit (shampoo, body soap, toothbrush, shaving kit, etc). Just beware that in the muggy Dubai summer, even "cold" water is lukewarm, and ventilation is kind of minimal so it gets pretty sauna-like pretty fast if you shower too long. Opening the cubicle door provides rapid relief though. There might be a queue (even longer than the free shower). Overall score, 8/10. Full lounge access is Dhs 190 (~US$50), which gets you a buffet, internet access, and a buggy transfer to your gate as well. Bonus: Lounge access is free with a "Titanium, Platinum or World" MasterCard if (per the T&Cs) issued in the Middle East & Africa, although enforcement appears to be a bit loose. 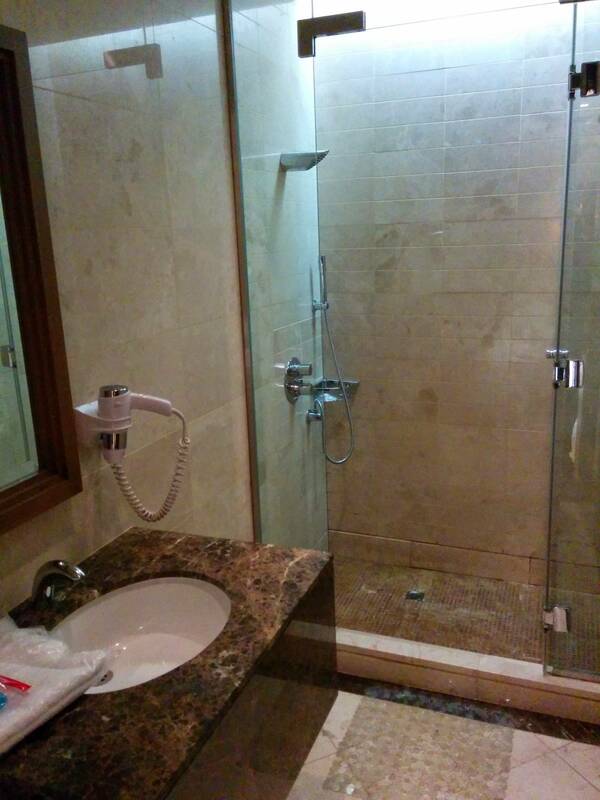 You can take a shower at any of the many Dubai International Hotel outlets, including the one in Concourse A, for US$15. Not tested yet. Access to the G Force Health Club gym (including showers), at T3 Concourse B only, elevator to level 5 right opposite the elevators to the Gate A trains, can be purchased for Dhs 70 (~US$19) for 1.5 hours. The gym is basic but does the job: treadmill, stationary bike, multipurpose machine, dumbbells. The shower, on the other hand, is rather nice, the amenity pack includes everything down to Q-tips and you even get a bathrobe. Plus water is cooler and it doesn't steam up as badly as Marhaba's version. Overall score, 10/10! There are clearly signposted free public showers in Coucourse A, near gate A1 right opposite the Le Clos wine shop. These look clean but no-frills, you'll need to bring your own towel and toiletries (there is a soap dispenser), and there was a (short) queue when I came to take a look (but it might be shorter than the Marhaba lounge). Apparently Concourse B has a similar setup at gate B13, and there are a few signs pointing the way. Terminal 3, between Gates A1 - A24, Gates B13 - B19 and Gates C18 and C22. Not the answer you're looking for? 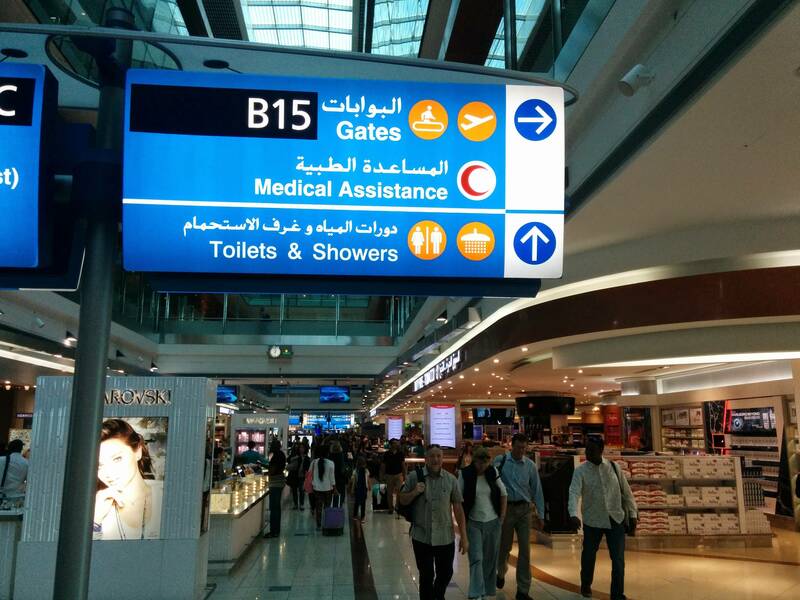 Browse other questions tagged transit airports layovers hygiene dxb or ask your own question. Whats the best way to spend 15 hrs at Dubai Airport?